Educating people on skincare using Rodan + Fields skincare products, providing beauty tips for achieving great looking skin, and business advice for mompreneurs. The saying "laughter is the best medicine" actually has some medical validity. Studies show that our emotions can have positive and negative consequences on our bodies, and affect the appearance of our skin. Your moods and outlook have the greatest impact on how you look, and how others perceive you. Out of all the emotions, stress is youth's biggest enemy. That's because it's the biggest simulator of the hormone cortisol, which flows freely through your system in times of stress. Your blood vessels become more fragile, new skin cells don't form as quickly, and cell turnover may eventually slow by half causing your skin to age. When you're feeling stressed avoid eating junk and alcohol. Often in stressful time we head right for the chocolate or martini. Doing this can show in the dehydration so instead reach for some veggies and water. We also have a tendency to forget that our skincare during stressful times. It's during these times when you shouldn't neglect your skin... a poor diet and spotty skincare can spell breakout trouble for the acne-prone. During stressful times I continue to use my favorite skincare regimen REVERSE by Rodan + Fields (available in Canada August 2014). It helps to clean the slate and keep my skin feeling great and looking youthful during stressful times. It's unavoidable...we all get angry at times. But did you know that anger makes your facial muscles tense, which over time gives you wrinkles and lines. Feelings of anger can also affect how your skin rejuvenates and heals. Researchers attributed this to high levels of cortisol present in people who are quick to anger, which inhibits the product of collagen, a crucial element of skin healing, and a cause of wrinkling when production slows. So the saying "Don't sweat the small stuff"...will not only help decrease your anger, but keep you skin looking youthful too! Much like anger, sadness weighs heavily on our face, and can cause wrinkles from repetitively frowning and furrowing brows. Long term depression n can prevent your body from repairing inflammation in cells. These hormones affect sleep, which will show on your face in the form of baggy, puffy eyes and a dull or lifeless complexion. 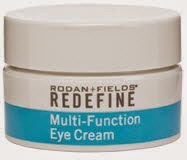 For baggy puffy eyes I use Rodan + Fields Multi-Function Eye Cream. 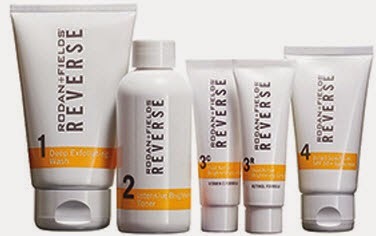 It is by far my favorite Rodan + Fields Product. It combines powerful peptides to minimize the appearance of crow’s-feet, helps reduce the appearance of both puffiness and dark under eye circles while special optical diffusers noticeably brighten the eye area. Not only is this product clinically proven it's also Ophthalmologist tested. It is ideal for maintaining the delicate skin around the eyes. Embarrassment can move from your brain to your skin, when neuropeptide receptors in skin receive messages, causing you to blush. Blushing easily and frequently can be precursor to the chronic swollen blood vessel condition known as rosacea. A great product for Rosacea is Rodan + Fields SOOTHE. 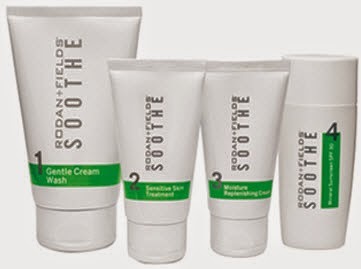 The SOOTHE regimen is clinically proven to reduce redness and irritation in as little as 5 minutes. It also shields against the biological and environmental aggressors that can trigger inflammation, helps fortify skin’s natural moisture barrier, calms visible redness, and reduces irritation so that you can take comfort in having a healthy-looking complexion every day. Vanity is not a dirty word!